This is my amma’s fav curry. 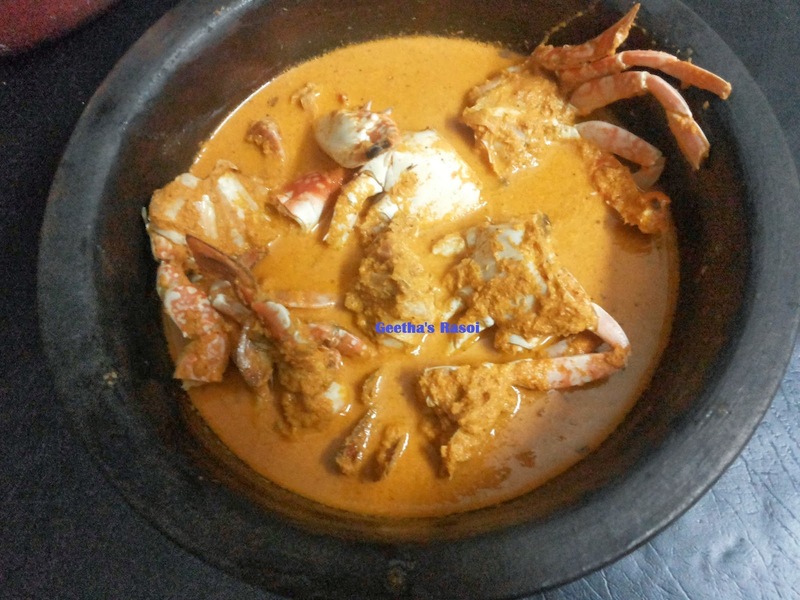 Boil crab with water and salt for 10 min. For masala grind grated coconut, chilly and tamarind into fine paste. 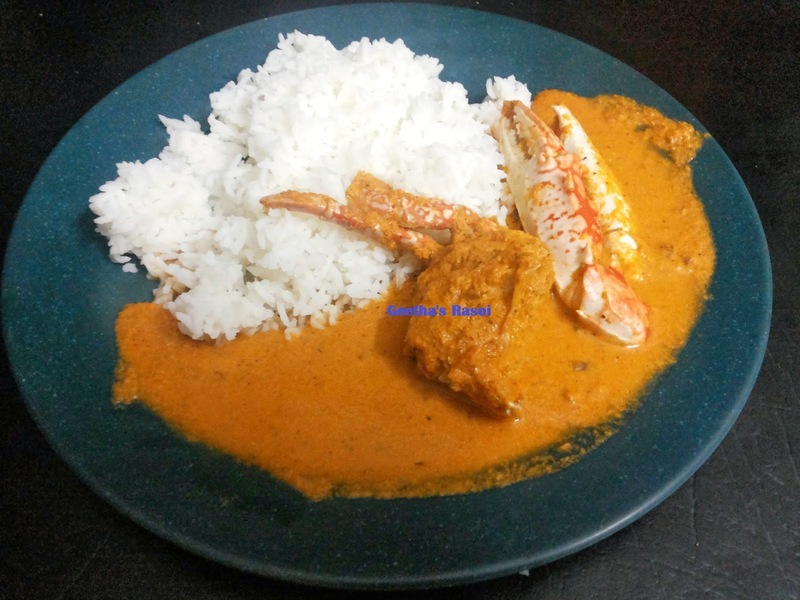 Add this paste to cooked crab mix well and cook for 10 to 15 min. Then heat oil in pan. Add chopped onion fry till golden brown pour this on boiling curry. Kurla ambat ready to serve with Rice.